This is the place where feeling alone becomes feeling empowered; where feeling overwhelmed becomes feeling free; where feeling confused becomes feeling clear; and wanting a more peaceful life becomes possible. 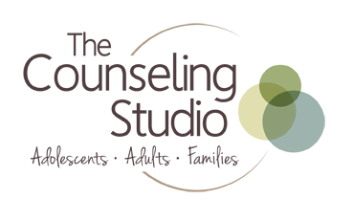 The Counseling Studio was created to help people like you work through challenging issues. Whether you are experiencing depression, anxiety, self-harm, grief, divorce related stress or parenting conflicts, we provide professional counseling to help you create a better life. 1. a room where an artist, photographer, sculptor, etc., works.